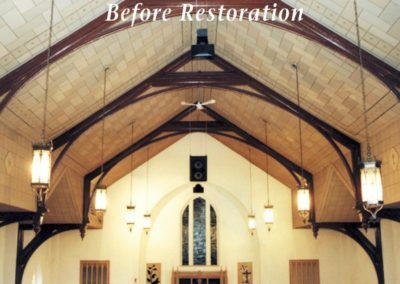 To create an updated layout and decorative scheme that enhance the aesthetics and functionality of the historic Methodist church in Whitewater, Wisconsin. The liturgical layout was improved with a new, extended predella. 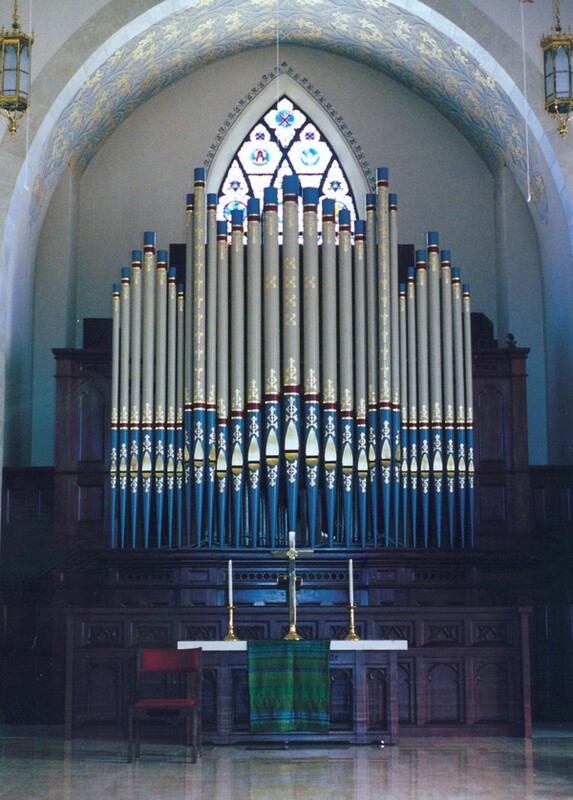 Handicapped accommodations were augmented to improve wheelchair seating; and, new screens were added to provide privacy for people using the elevator in the front of the church. 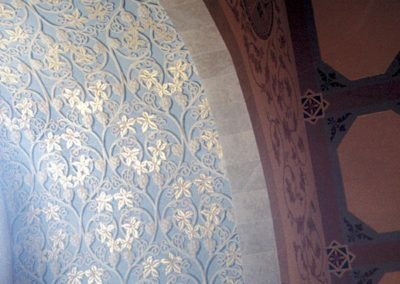 The preparation for decorating included encapsulating the unattractive ceiling tile and selecting a color palette for the interior that relates to the existing stained glass windows. 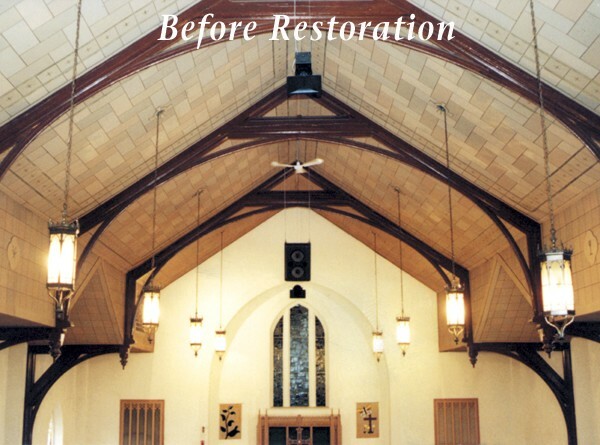 The church was painted in a new, historically inspired decorative scheme, and the beautiful, original beams were highlighted with gilded and colored stenciling. 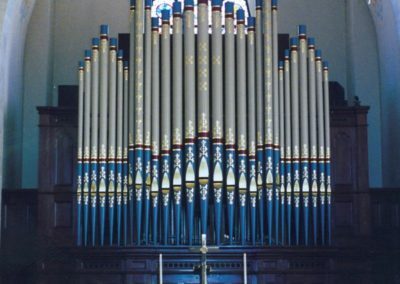 The organ pipes were painted for added decoration. 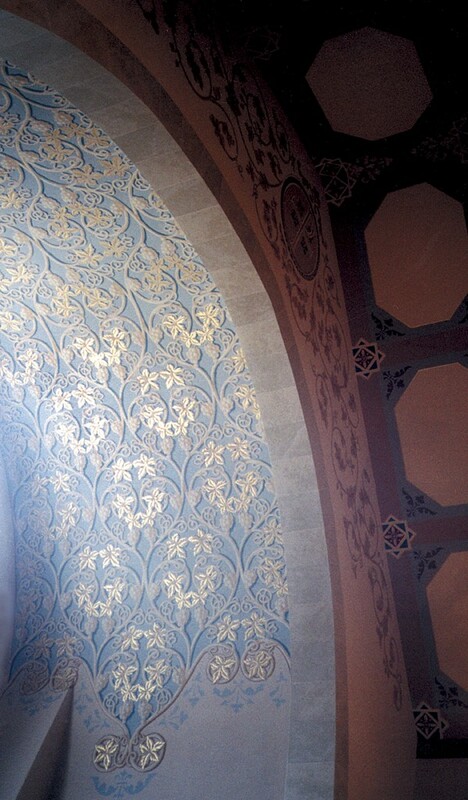 New furnishings were created, using portions of the existing fitments. The Studio designed and fabricated a new, more traditional stained glass window to replace the existing contemporary-style window. This smaller window, which incorporates symbols from the existing window that are important to the history of the parish, is a backdrop for the new organ. 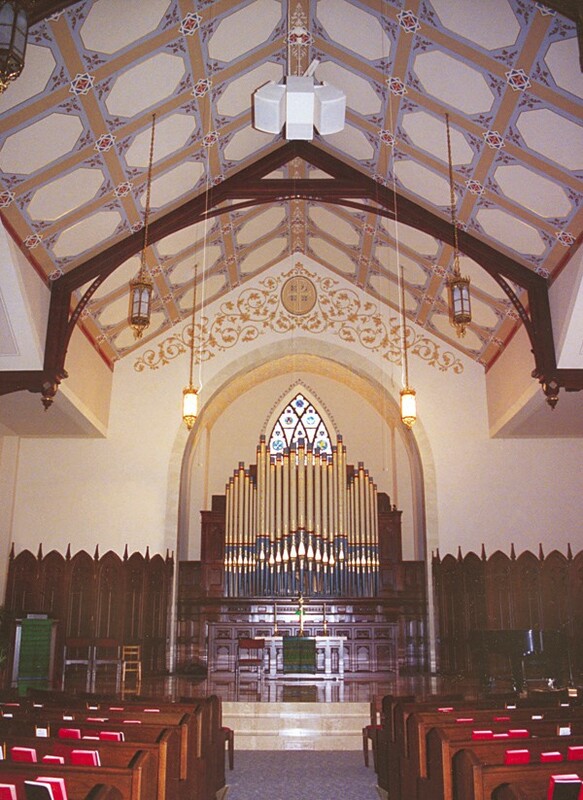 With its new decorative scheme and updated layout and accessibility, First United Methodist Church now provides a worship environment that more beautifully and comfortably accommodates the congregation.